It is our challenge to encourage and promote waste minimisation and recycling programs in line with Zero Waste SA’s strategic plan of reducing waste to landfill by 25% within 10 years. With your help we can change the direction of waste management in SA. Landfill diversion and recycling programs reduce greenhouse gas emissions and help to reduce the demand for raw materials and energy consumption. Waste that was once considered general waste and destined to landfill may now be classified as pure recycling, co-mingled, mixed recycling or an alternate fuel source. 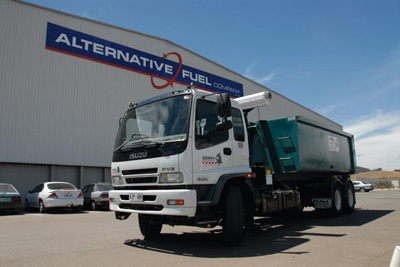 We have various programs in place that cater for differing demands of recycling and landfill diversion. The best choice for you depends on the type of waste and quantity that you produce. Separate your pure recycling streams of metals, cardboard, paper, plastics, timber, green waste, food waste, bottles and cans, bricks and concrete into individual receiving containers and you will be saving on outsourced labour costs and any future increase in the EPA waste to landfill levy. Loads are delivered to various recycling facilities, depending on the product it is then reused, treated or recycled, more often it is processed and remade into a new product. If the quantity of product for pure recycling streams is not viable for your company a mixed/co-mingled recycling service may be the option. 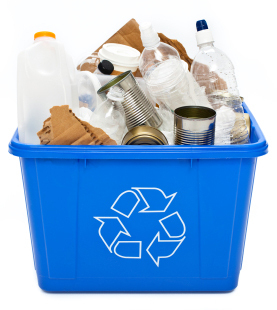 Just separate mixed recyclables from your general waste. Loads are put through a MRF (Material Recovery Facility), hand sorted into relative pure recycling streams. Some wastes are not suitable for recycling but can still be diverted from landfill. Loads are sorted by a system of conveyors, screens and magnets. Unsuitable products (scrap metals, dirt and concrete) are removed and recycled. 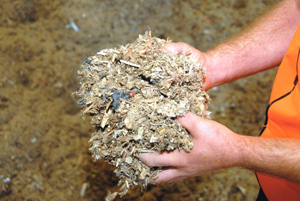 The suitable products are then shredded and used as an alternative fuel source. To find out the combination of services which best works for you, contact Signal to arrange an on site waste audit today.